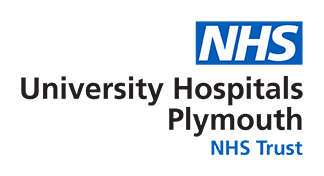 Both Derriford Hospital and the Royal Eye Infirmary are supported by League of Friends, who work tirelessly for the Trust by providing funding to purchase equipment and improve patient care. Derriford Hospital's League of Friends has been raising money for over 25 years and to date the League has spent more than £1.2m on medical and other equipment for the hospital. The League owns two shops in the main entrance of Derriford, a fruit and flower shop and a bookshop. In addition funds are raised through a variety of activities including coffee mornings, fashion shows, draws and festivals. Aluminium cans and used postage stamps are also collected for resale. Donations of good quality books for the bookshop are also sought. The League of Friends will accept donations of all kinds; bequests, in memory of and simply to say thankyou. Cheques should be made payable to 'Derriford Hospital League of Friends' and posted to the address below. The League is always looking for willing volunteers to help either in the shops, by taking a fruit trolley around the wards and helping with fundraising projects.